Choosing to move to Australia from India is unarguably a step up. Australia is famed globally for its pretty economy as well as the admirable level of hospitality splashed generously on foreigners. If you don't have an account ? Welcome to Indian connection.We are an independent locally owned enterprise made up by Australian Indian entrepreneurs. We are completely unfunded by any government body. Wishing to remain independent, we strive to assist the needs of Indian in Australia as well as Indian wishing to come to Australia. Indian Connection strives to be a solution and digital support portal and includes articles and profiles of both individuals and companies in the areas of migration ,education and training,entertainment and media property and other sectors. 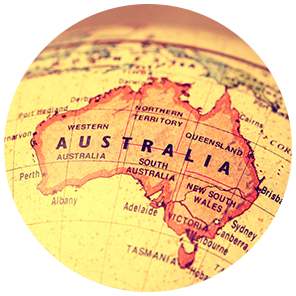 We give up to date overview of settlement opportunities in Australia,as well as the critical ,in depth information needed by our readership to gain greater understanding of the Australian settlement environment covering all the states and major cities. The concept of Indianconnection.com.au was developed by its Founder following his struggle to find genuine support when he arrived in Sydney from Chandigarh as a student in year 2002. Our Founder found that his biggest struggle was to find cheap accommodation and a job in Sydney. Not even that his initial student visa was refused on financial grounds. The passion of settling in Australia for better lifestyle made our Founder appeal Australian Embassy in New Delhi. Finally in Feb 2002 Our Founder landed to Sydney. He learnt the hard way!